Artificial lighting extends our day and makes us feel safe, but how much of an effect is our need for light in the hours of darkness having on wildlife, particularly insects? 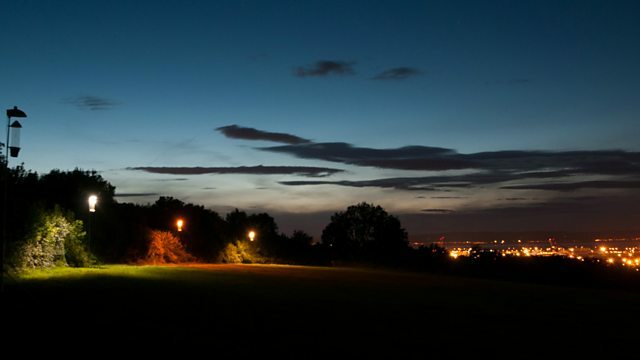 Artificial lighting is ubiquitous in the developed world - but the effects of night time illumination on wildlife are not yet fully understood. While we know that artificial light changes the behaviour of some animals we're still a long way from knowing whether those changes can damage wildlife populations. This week Monty Don finds out what we do know with particular regard to an important but often overlooked group of animals - insects. Dr Thomas Davies is a community ecologist at the University of Exeter investigating the impact of artificial lighting on plants and invertebrates. His aim is to investigate how artificial lighting can alter structure and composition and to understand these processes. He is especially interested in how human activities alter the structure and functioning of ecosystems. Dr Davies is also a member of the Biosciences department in the University's College of Life and Environmental Sciences. Andy Wakefield is a PhD student at the University of Bristol studying the impacts of new technology lighting on insect behaviour and ecology. Prior to working on insects, Andy spent five years involved with studies investigating how artificial lighting affects bats in the UK. He has undertaken conservation projects around the world and is an experienced science communicator. Roy van Grunsven is post-doctoral researcher at Wageningen University in The Netherlands. He has worked in applied ecology, advising nature management organisations and scientific research on topics such as the interaction between plants and soil-organisms and the feeding behaviour of tropical butterflies. He is fascinated by insects, both professionally and as a hobby. This primarily concerns dragonflies but also other insect groups. Since 2010 he is studying the effects of artificial light on wildlife in the project Light on Nature. The aim of this project is to understand how wild plants, animals and ecosystems are affected by illumination. Roy van Grunsven focusses on insects, amphibians and vegetation within this project. Explore the twists and connections of natural life in four different UK habitats.